Radura is the idea of a public space in which to unwind, the spend time, to lingerand wait; an open space inside a larger space. But it is also an urban device to dilute the intensity of flows and movements, offering the chance to experience an acoustic atmosphere different from the background noise of the city. In the central lawn of the Cortile della Farmacia and its portico composed of round arches, the prototype of Radura creates an intimate and collective space that can host encounters, readings, events. 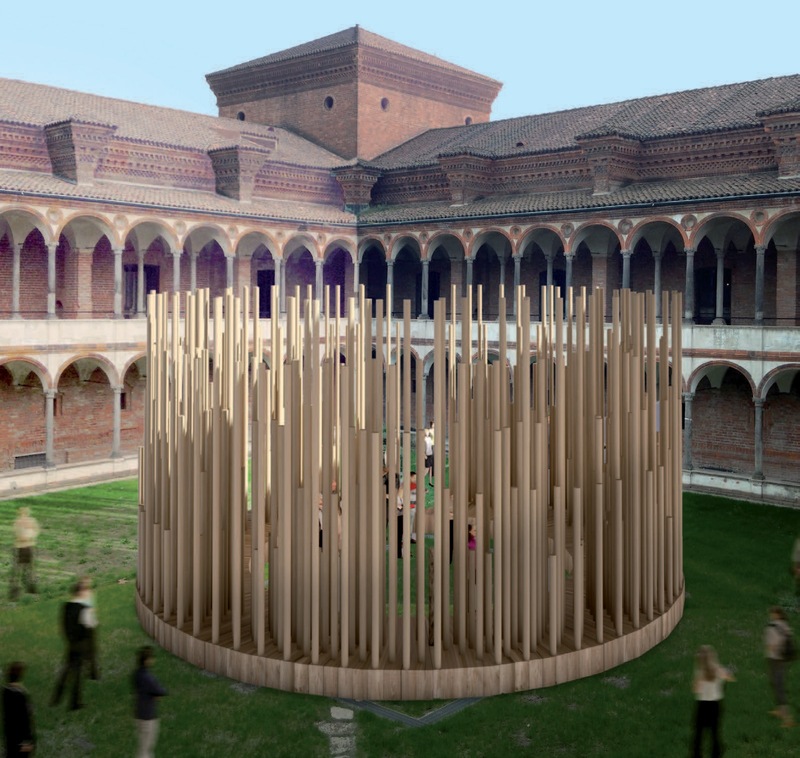 The installation is a circle of 400 cylindrical wooden columns, each with a diameter of 10 centimeters, forming the perimeter. The columns are anchored to the ground by a circular wooden platform, 45 centimeters high, with an outer diameter of 10.5 meters and an inner diameter of 7; inside, the platform also functions as seating. Radura transforms the Cortile della Farmacia into an outdoor resonating chamber, thanks to a sound installation designed by Ferdinando Arnò; in the evening, it becomes a luminous circle thanks to the lighting system. 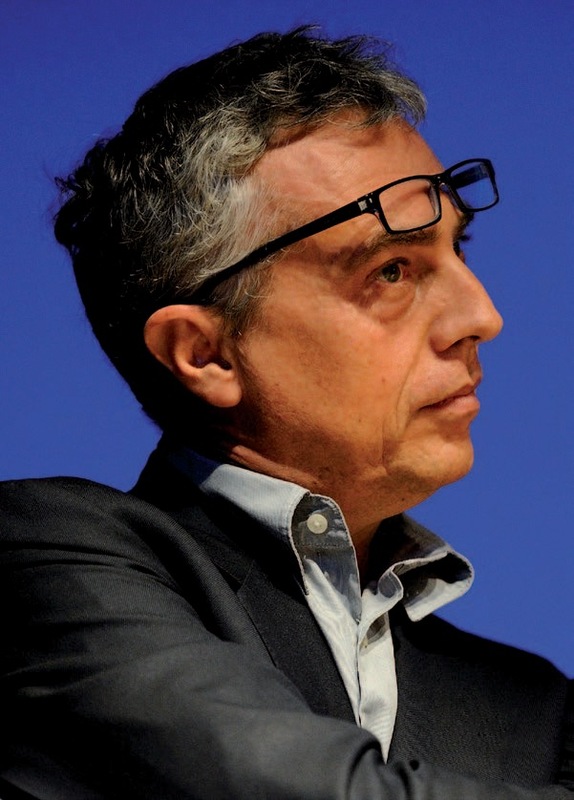 Sound design: Ferdinando Arnò for Quiet, please!